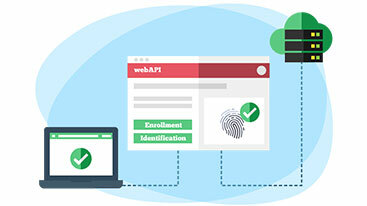 The evolution of biometrics will bring brand new modalities for individual identification. There are countless distinguishing behavioral traits and physical attributes which make each of us unique individuals. Biometrics is a science that identifies and captures these characteristics converting them into templates that can be read by biometric hardware devices and interpreted by back end identification matching software as authentication proxies of our physical selves in the digital realm. An individual provides many physical and behavioral attributes that are suitable for biometric comparison and searches. Recent advancements in modern biometric technology sensing and computing continue to improve the ability to perform biometric matching faster and more accurately than in the past. The biometrics industry is evolving to isolate more individual physiological characteristics for identification, moving beyond traditional credentials such as fingerprints and introducing new technologies that rely on different physical traits and attributes. Over the past few decades, biometric technology has been extensively used for bonding digital data to our identity with permanency, consistency, and unambiguity in both the government and private sectors. Although most of the advancements in the field of biometrics (i.e. fingerprint, palm vein and facial recognition which are field-proven in large-scale deployments) have already come to fruition, some attractive and striking new biometric modalities (e.g. finger vein, iris and voice recognition, DNA, etc.) are evoking public interest. In addition to these commonly implemented or studied biometric modalities, there are many other new biometric modalities in various stages of development and assessment. However, no biometric modality is impeccable and each one has advantages and disadvantages for a given use case. As all the modalities are largely statistical in nature, the more data you put in a set of biometric samples, and the more likely that it is unique. The idea of finger vein recognition is relatively younger then fingerprint or facial recognition. Finger vein technology uses pattern-recognition techniques based on images of human finger vein patterns beneath the skin’s surface. The term “iris recognition” became viral sometime in the late 1990s. It is an automated method of biometric identification that uses mathematical pattern-recognition techniques to identify an individual by analyzing the random pattern of their iris and is widely considered the most accurate biometric modality on the market. Voice recognition is a relatively new biometric modality used to recognize individuals through natural voice patterns, eliminating PINs, passwords, and unique questions. Voice recognition relies on features influenced by an individual’s vocal tract and behavioral characteristics. The introduction of “Rapid DNA” technology promises to revolutionize the practice of forensic identification and DNA biometrics could be the most exact form of identifying any given individual. DNA can be collected from any number of sources: blood, hair, fingernails, mouth swabs, blood stains, saliva, straws etc. — Gait Recognition: Gait analysis is the systematic study of human movement. It is an emerging biometric technology in which people are identified purely through the analysis of the way they walk. — Heartbeat Recognition: Capturing the electrocardiogram (ECG) of a person can be used for human identification as an individual’s heartbeat is as unique as his/her fingerprint (as reported on our blog last year!). Heartbeat recognition technology uses unique cardiac rhythms to authenticate an individual’s identity. — Ear Recognition: The shape of a person’s outer ear may prove to be one of the most accurate and least intrusive ways to identify people as the detailed structure of the ear is not only unique but also permanent. — Gesture Recognition: Gesture recognition technology interprets body movements via mathematical algorithms. It includes ongoing work in a camera’s visual field on capturing bodily motion or state and movements. — Lip Recognition: One of the most interesting methods of human identification is a person’s lip motion. It utilizes the geometrical parameters developed in order to describe human lip shapes for biometric applications. 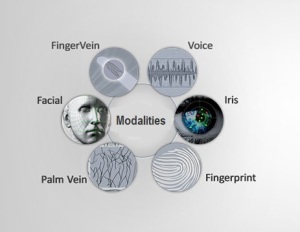 What other future biometric modalities can you add to this list?